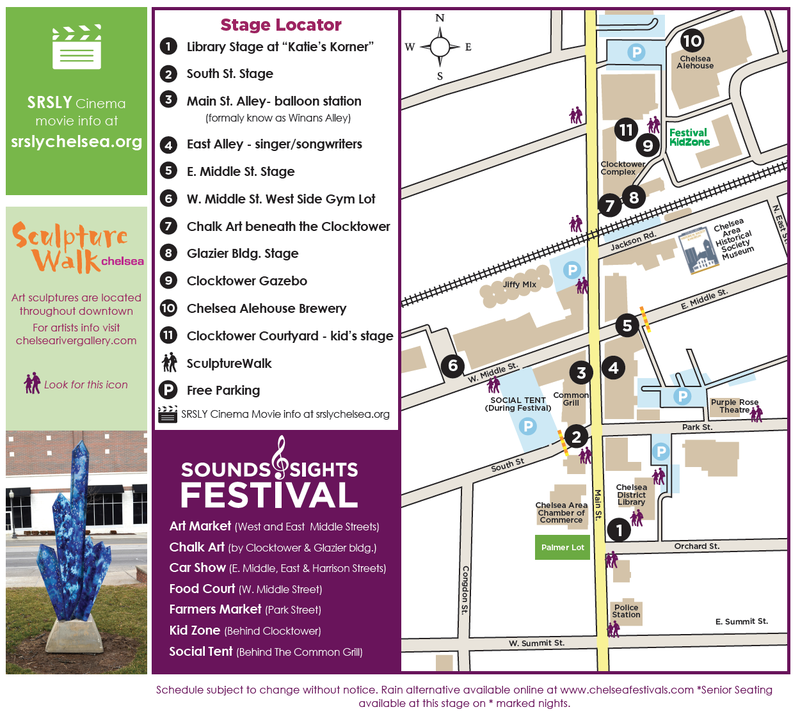 Sounds & Sights on Thursday Nights performances are held in Chelsea, Michigan from June 8 to August 17, 2017 from 6:30-8:30 p.m. Performances take place outdoors at various spots throughout downtown. Doctor Pizza will be performing Thursday, July 13 at the West Side Gym Lot. This is a rain or shine event, so come on out and enjoy some music and the great outdoors! Downtown Chelsea has a lot of cool stuff to offer before and after the set. We suggest Cleary’s Pub for a bite.